Taboola, the world’s leading discovery platform, announced a global strategic partnership with leading Chines smartphone brand Vivo. 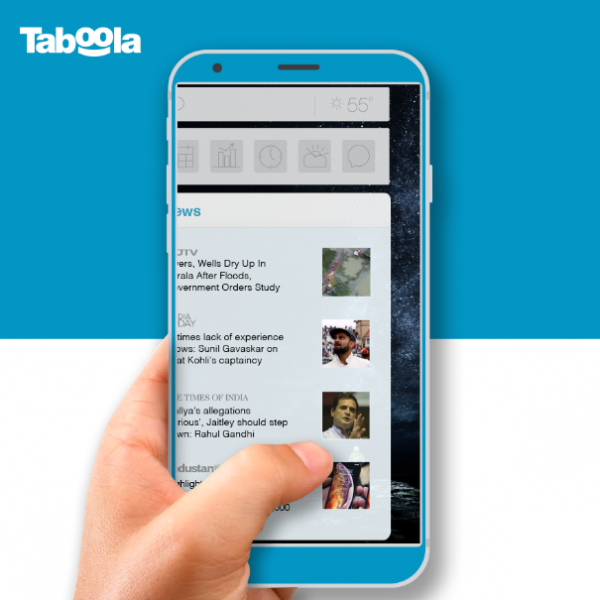 Under the partnership, Taboola will deliver a fully personalized content experience for vivo’s customers helping the manufacturer drive engagement and monetization and providing a significant new audience source to content publishers in the region. Taboola will be Vivo’s strategic content partner to integrate directly on vivo’s swipe right experience. When users swipe right on the home screen, Taboola will surface relevant personalized news and content from its network of premium publishers throughout Asia. The partnership with Vivo will leverage Taboola’s extensive footprint in the region through partnerships with thousands of quality publishers and marketers such as NDTV, India Today, China Daily, Kapook and OhBulan. Taboola’s Global Network in Asia-Pacific includes content in languages such as Thai, Hindi, Tamil, Chinese, Indonesian and English. According to eMarketer, internet users in Asia-Pacific own smartphones at higher rates (93%) than their peers in Europe (86%) or North America (84%) and the growing penetration of smartphones and tablets has changed the way adults consume media in the region. Through the partnership, Taboola and Vivo are enabling content creators to reach their audiences throughout the day.